We provide distinctive graphic visuals designed for your marketing use. We send you downloads of our unique images as PowerPoint (PPT) templates which you can customize yourself. Or you can choose to have print ready PDFs where we handle the details of your show which is a complete turnkey product, ready for print and online publishing. We can also handle all your print needs upon request. ShowArt is a collection of original graphics developed specifically for the most popular theatrical productions and available for licensing to theaters of all kinds. 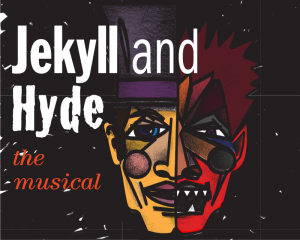 We provide high quality, affordable visuals for plays and musicals. These designs are provided in multiple template formats for posters, banners and programs along with web and social media files. 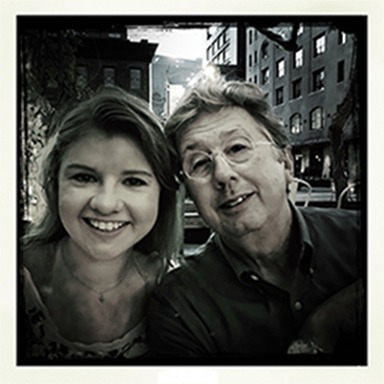 ShowArt is founded by the father/daughter team of Edward and Rosemary Walter. Ed is an award winning graphic designer and illustrator. He is the founder of Strategy Studio, a NYC based design firm. For over twenty years, Ed has been on the faculty of Parsons School of Design. Rosemary is a college senior majoring in Elementary Education and Art History. Throughout high school and college, she has been on stage performing in dramas, musicals and cabarets. Our concept is to develop graphics and tools for the sole purpose of promoting the performing arts in your community. The plan is to grow the collection to 100 or more of the most popular plays and musicals done by local theaters, colleges and high schools across the country. Don’t see the title you're looking for? Send us a note, so we can add it to the list. Or sign up for our updates and special deals. © 2017 ShowArt, a D.B.A. of Edward Walter Design,Inc. All rights reserved.